An image of hip hop legend Fat Joe standing in front of a Bronx bodega glaring menacingly ahead helps signal the arrival of a new creative space in Port Morris. 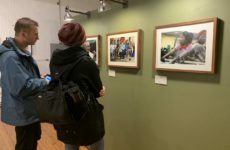 The photograph by Jonathan Mannion is displayed on the wall of a recently opened creative space and gallery called the Compound on Third Avenue. 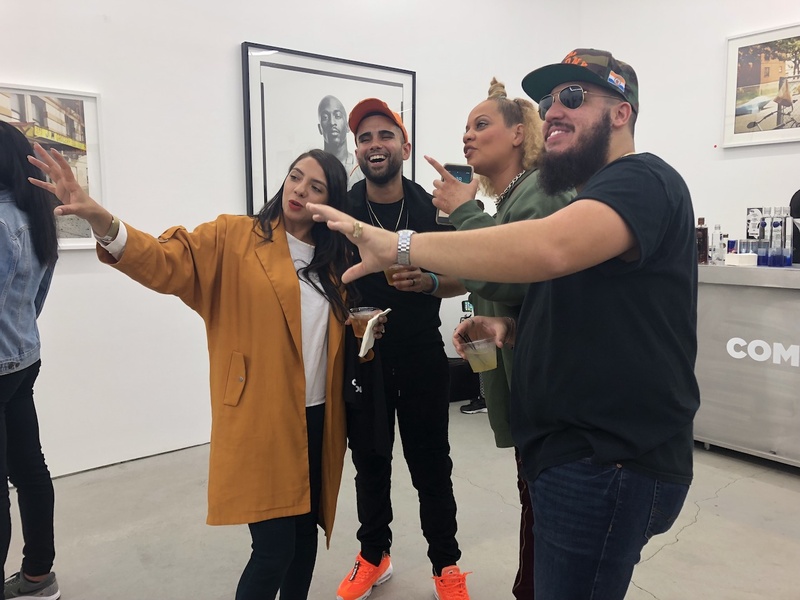 Mannion collaborated with Free Richardson, who is also known as Set Free and is the new space’s creative director, to establish a gallery that will showcase the great artists and cultural achievements of hip hop through imagery. The duo’s first exhibition: “ I Got A Gallery.” “ I Got A Show” opened last Wednesday. The exhibition featured 50 Mannion’s photos and never-before-seen images of some of the lifestyle’s most historic figures. Over the years, Mannion has created a name for himself as one of the country’s best known portrait hip hop photographers. With more than 25 years of experience, he has worked on album covers for artists ranging from Jay-Z to Eminem to Aaliyah and Ludacris. He has also worked on music videos and many editorial projects. Hip hop was not always The Compound’s main function, however. Set Free first founded the space in 2007 as an advertising agency and shortly after had the idea for the gallery as a space for cultural collaboration. Set Free said the name Compound stems from the idea of two elements coming together. To him, this is where hip hop and Photography meet. “Art is everything. It is very important to bring art to the Bronx. After all, hip hop is the biggest art in the world,” he added. 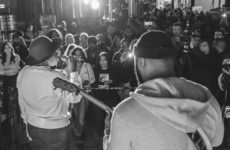 Legendary rapper and activist Yasiin Bey, who formally goes by Mos Def, joined Set Free in opening the gallery to give creatives an open space and opportunity to showcase their art. Set Free believes that up-and-coming Port Morris is the best place to bring hip hop culture back to life. With more than 100 guests in attendance including Mos Def and popular singer/songwriter Slick Rick, community members say the project is a hidden gem that offers a snapshot of the birth of hiphop and a chronological timeline of its evolution. “A pure documentary of hip hop culture at its finest. 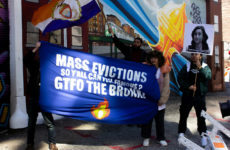 Each photo shows what was going on at the time and captures its true essence,” said longtime Bronx native and photographer Damian Castro. The event ended with an after-party at local hip hop-themed restaurant Beatsros, where a collection of the prints and Compound merchandise were available for purchase. Friends of Set Free and Jonathan Mannion expressed their support and respect of striving to bring the Bronx alive through visual art. “It’s dynamic and shows the raw beauty of hiphop. It really just shows the journey of hip hop overall,” said creative director and designer Ron Hansford.